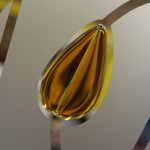 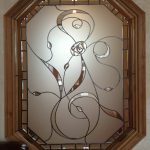 This very large Bevelled Glass project was completed by Leadbitter Glass in early 2002. 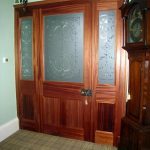 The door set consisted of 6 large panels making up a door, 2 sides and a 3 top-light combination. 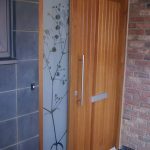 Each panel was made up using 4mm toughened single glazed glass because with the lack of a deep rebate, double glazed sealed units could not be installed into this traditional door. 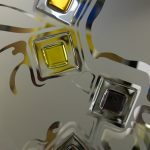 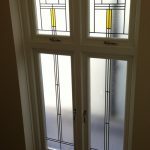 The bevels used were not the standard clear bevels that we would normally use on most bevelled glass jobs, these bevels each had a gluechip glass front to help with the privacy requirements of the clients. 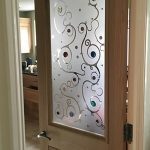 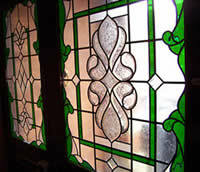 Around the panels we overlayed a green marble stained glass film and everywhere else was covered in frosted glass films – Crackle and Sparkle. 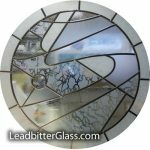 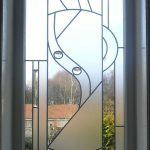 The leaded glass sides of the design was normal 6mm lead which was then soldered together and aged with our ageing chemical to give a darker, more traditional look. 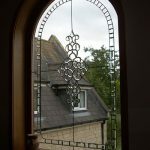 Once the design was completed it created a very grand entrance way which complimented the original tiled mosaic floor and authentic victorian staircase in the hall of this grand 7 bedroom home. 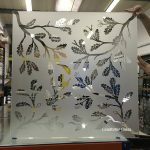 We recently visited the house again in 2010 to take these promotional photos and the glass looks as good as the day it was installed 8 years earlier. 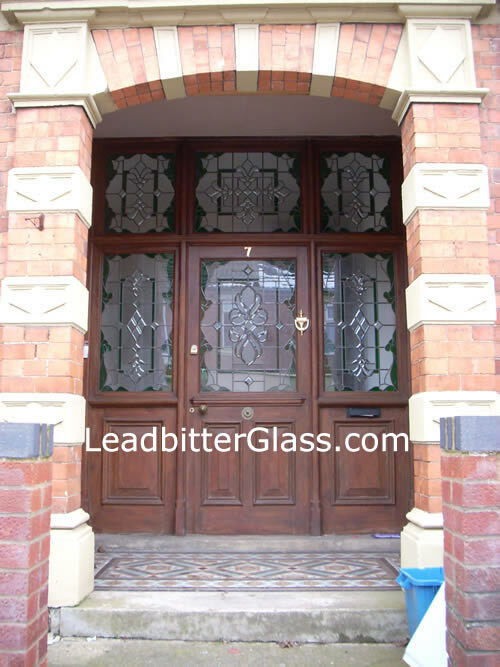 This is a testament to how durable our materials are even when used in a single glazed capacity.